BROWNSVILLE, Texas -- As the first active-duty military troops sent to the U.S. border with Mexico installed coils of razor wire on a bridge and a riverbank Friday, a sense of unease spread across Texas' Rio Grande Valley. President Trump's portrayal of a border under siege by drug smugglers and other criminals is at odds with what residents in towns along the 1,954-mile divide with Mexico see in their daily routines, with U.S. border towns consistently ranking among the safest in the country. 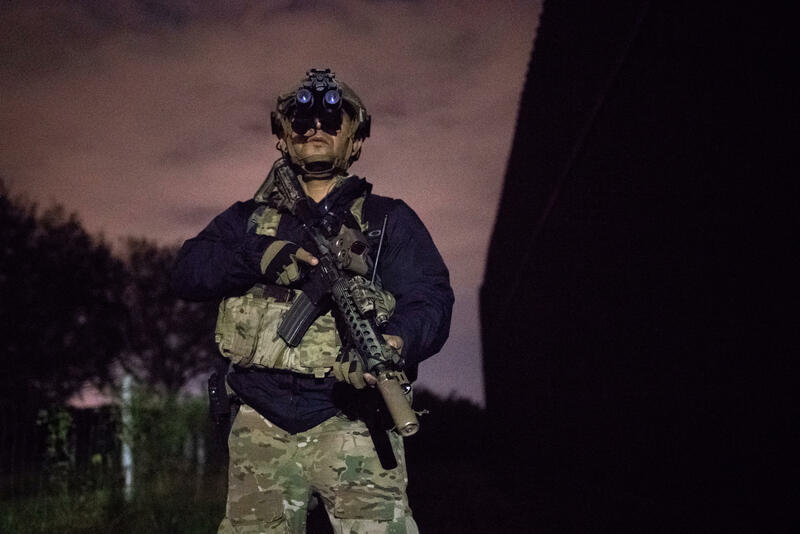 U.S. military units in San Antonio and other locations in Texas, California, and Arizona are going through specific training and rules along the border, CBS San Antonio affiliate KENS reports. Joint Base San Antonio - Lackland Air Force Base is one of the primary locations where training is underway. When Mr. Trump pledged this week to send up to 15,000 troops to the border in response to the slow-moving caravan of migrants, he unnerved the economically struggling region of 1 million people that stretches over flat, sun-drenched citrus groves and farms of cotton, sugar cane and vegetables. The troops are being sent in what has been described as a support role, helping border agents. But Mr. Trump said he told the military that if troops face rock-throwing migrants, they should react as though the rocks were rifles.